Want to master your mechanics and become your own pitching coach almost overnight? 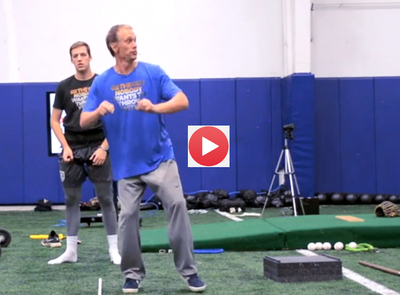 New Ground-Breaking Pitching System Teaches You How To FEEL Your Pitching Mechanics, Allowing You To Self-Correct & Adjust On The Spot… Putting Your (New) Mechanics On Auto-Pilot And Transferring Your Results To The Game-Mound Almost Overnight! Now you can learn to take advantage of your built-in GPS pitching system to naturally ‘load’ every single muscle, tendon and ligament in your body to safely boost your velocity, throw consistent strikes and repeat your mechanics… while easily transferring your hard-earned gains to the real live mound without ever thinking about your mechanics or having to start all over with each passing season as coach after coach attempts to change your mechanics. Before starting the videos, make sure to download the manuals that go with the course.